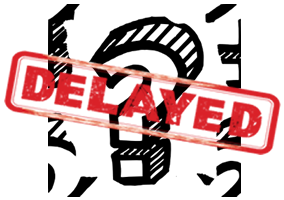 Prepaid stakeholders scrambling to meet the Oct. 1, 2017, effective date for the CFPB’s final rule on prepaid accounts got a break earlier this month, when the CFPB proposed delaying the effective date by six months. Perhaps more important than the delay itself was the bureau’s signal that it might be open to tweaking some aspects of the rule. In a Notice of Proposed Rulemaking (NPRM) released on March 9, the CFPB proposed pushing back the effective date of the final rule to April 1, 2018. Citing industry participants’ concerns about difficulties complying with certain provisions of the rule, the bureau characterized the potential six-month delay as a way to “facilitate compliance … and to allow an opportunity for the bureau to assess whether any additional adjustments to the rule are appropriate.” The CFPB is seeking industry input on the proposed delay and whether six months is the appropriate amount of time for such an extension. The NBPCA was among those that actively voiced industry concerns to the CFPB over what its members view as problematic aspects of the rule and its implementation. The industry group welcomed the bureau’s proposal to delay the effective and re-examine elements of the rule. Several legislators, with support from the Electronic Transactions Association (ETA), have introduced three joint resolutions in Congress that would repeal the final prepaid accounts rule using the Congressional Review Act (CRA). The ETA described the rule, which covers mobile wallets and person-to-person payment products, as “overly prescriptive and sweeping” regulation. Brian Tate has been named president and CEO of the NBPCA, replacing Brad Fauss, who in May stepped down from his role at the helm of the prepaid industry association to join Wirecard North America. Tate has served with the NBPCA since 2013 as vice president of government affairs, helping lead the organization’s legislative and regulatory policy agenda, including managing the federal political strategy and building relationships with policymakers on the national and state levels. As expected, U.S. Sen. Elizabeth Warren (D-Mass) is not going to let the CFPB’s final rule on arbitration agreements go down without a fight. The ranking member of the Senate Banking Committee’s Subcommittee on Financial Institutions and Consumer Protections wants big banks—not just their lobbyists—to address the issue. A federal judge has dismissed an unfair practices lawsuit filed by the CFPB against a North Dakota-based payment processor. The federal agency had accused Intercept Corp. of permitting unauthorized and other illegal withdrawals from consumer accounts by its clients. A proposed class action lawsuit was filed by a former prisoner who claims he had no choice but to receive a prepaid card upon his release instead of the cash he arrived with, minus any card fees he was charged. The CFPB’s final prepaid rule is turning out to be unpopular with the current U.S. Congress: A U.S. representative has followed the lead of a Senate colleague and filed a joint resolution to repeal the rule, which has attracted criticism from industry groups since the agency released it last year. But consumer groups, who lobbied for the rules, are attacking the effort, arguing that it would put consumers at risk.